Recently, the debate about whether Florida’s No-Fault Law and Florida PIP should be repealed and replaced has gotten newfound public attention. Currently there are efforts underway by some Florida lawmakers to address concerns raised by Florida’s No Fault Law, which requires drivers in Florida to carry $10,000.00 of personal injury protection coverage, or PIP. However, with both medical providers across the state, and the insurance companies themselves, against such a measure, the future is still very much unclear for auto insurance in Florida. On April 13, 2017, the Senate Banking and Insurance Committee voted on a measure that would eliminate Florida No-Fault in favor of requiring motorists to buy bodily injury coverage. While most people in Florida carry bodily injury coverage already, the purpose of Florida’s No-Fault PIP Law would be thwarted as the original intent was to provide quick and easy payment of insurance claims resulting from auto accidents. The benefits of PIP in Florida to drivers and medical providers are plentiful. For example, the ability to immediately seek medical care and treatment following an accident, regardless of fault, and being able to provide coverage to injured accident victims who may not otherwise have had the money for medical treatment they legitimately need. Critics of the proposals by members of the Florida House to change PIP point to the fact that the 2012 amendment resulted in an estimated savings across the state of about 15.1% in PIP premiums for Florida drivers. Those same critics argue that the only reason for a growth in insurance rates in the past two years can be attributed to two main factors: the rise in population, and the rise in distracted drivers due to smart phones, texting and social media usage while driving. Some proponents of the move to replace Florida’s PIP Law state that the requirement for $10,000.00 does not provide enough coverage to accident victims, hence why they are seeking to require $25,000.00 in bodily injury coverage instead. But this is a misleading argument, as not only could simply raising the amount of PIP required achieve this same goal, but premiums will likely rise as a result of the higher BI coverage limits. What is most likely going to result if PIP is replaced in Florida is that litigation will skyrocket over the motor vehicle accidents themselves, and who was at fault. 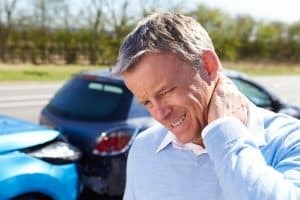 Oftentimes in Florida, because of the No-Fault system, there may be no need to go to court and fight about who was at fault, what percentage of liability should be assigned to each party and whose insurance will pay for what, because a party can simply go through their own insurance to get the basic treatment they need. The debate stays where it is for now, simply a debate among politicians. But, Yeboah Law Group will be following these developments so that we can adequately inform and protect our clients, both as drivers and medical providers. The skilled car accident attorneys from Yeboah Law Group have the experience to navigate the complexities of PIP. You are invited to contact the Yeboah Law Group for a free consultation with a Miami PIP attorney. Call us today at 1-800-TELL-SAM or fill out our contact form to learn more about our services.